Be a Cinco de Mayo Volunteer! Hi friends of PGSCA! 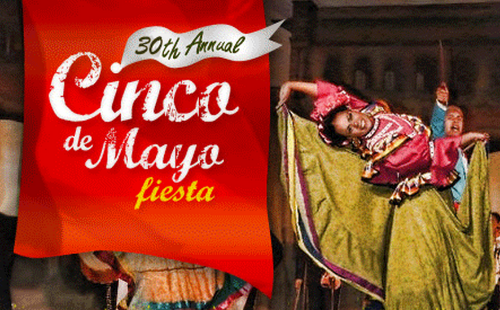 We are busy gearing up for this year's Cinco de Mayo Fiesta, taking place at Tom McCall Waterfront Park in downtown Portland between Saturday May 3 and Monday May 5th. This is our 30th anniversary and we have planned some very special events. We need your help in making this the best Cinco de Mayo yet, and you can do so by registering to volunteer on our cincodemayo.org website. Volunteers can participate by helping kids create crafts, face-painting, greeting guests, joining our Tidy Team to keep the park looking good, among other options. You can see a full list of job descriptions on the volunteer registration page. This year we will feature a spectacular laser light show on all three evenings, in addition to a very special musical guest on Saturday, the king of the accordion and Grammy award winner, Ramon Ayala, direct from Monterrey, Mexico! Check out more of what we have in store on the Cinco website.